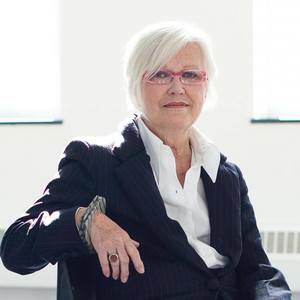 Advisory Council member Susanne Ghez joined The Renaissance Society in 1973, and was the museum’s executive director and chief curator from 1974 to 2013. Under her guidance, The Renaissance Society has become internationally recognized as one of the most original and ambitious contemporary art museums in the United States. Highly esteemed and prominent in her field, Ghez has received honorary doctorates from the School of the Art Institute of Chicago and the San Francisco Art Institute as well as numerous awards for curatorial excellence. She also has an extensive service record as an artistic advisor, having worked with Norway’s Contemporary Art advisory committee, Barcelona’s Museu d’Art Contemporani, and the National Endowment for the Arts. In 2013 she received The University of Chicago’s Benton Medal for Distinguished Public Service.